North Korea has described the latest UN sanctions imposed on the country as an "act of war". A foreign ministry statement said the measures were tantamount to a total economic blockade, the official KCNA news agency reported. It added that strengthening North Korea's deterrence was the only way to frustrate the US. 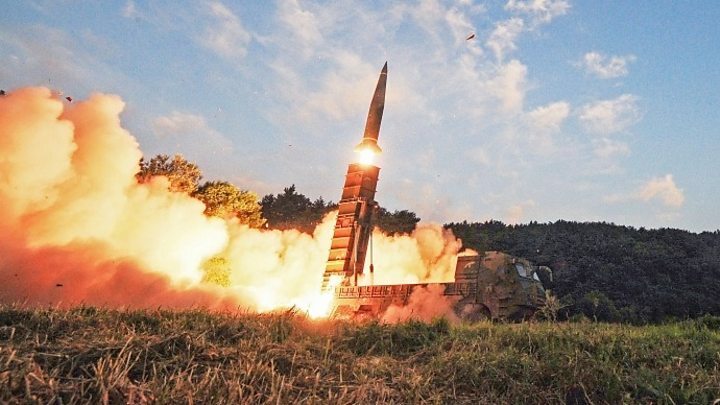 The UN Security Council imposed the new sanctions on Friday in response to Pyongyang's ballistic missile tests. 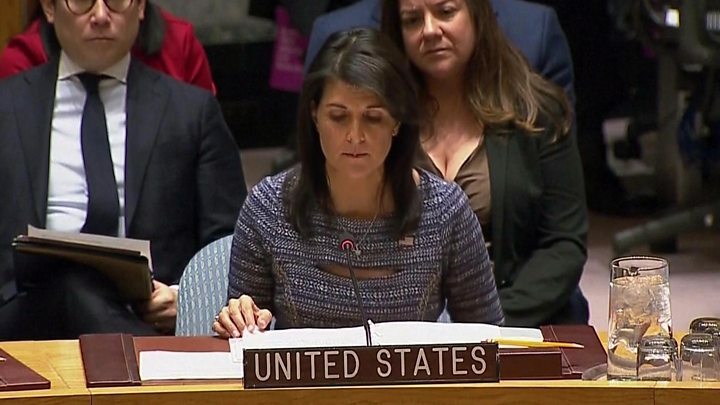 The US-drafted resolution - unanimously backed by all 15 Security Council members - includes measures to slash North Korea's petrol imports by up to 90%. North Korea is already subject to a raft of sanctions from the US, the UN and the EU. What did the North Korean statement say? Characteristically bellicose, it described the latest UN sanctions "as a violent breach of our republic's sovereignty and an act of war that destroys the peace and stability of the Korean peninsula and a wide region. "The United States, completely terrified at our accomplishment of the great historic cause of completing the state nuclear force, is getting more and more frenzied in the moves to impose the harshest-ever sanctions and pressure on our country. What exactly are the new sanctions? 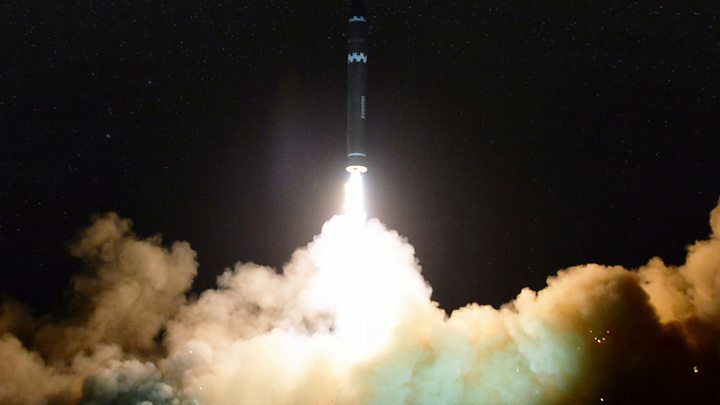 The UN sanctions came in response to Pyongyang's 28 November firing of a ballistic missile, which the US said was its highest yet. US President Donald Trump has previously threatened to "totally destroy" North Korea if it launches a nuclear attack. North Korean leader Kim Jong-un has described the US president as "mentally deranged". The UN also approved new sanctions following North Korea's nuclear test on 3 September. These measures restricted oil imports and banned textile exports - an attempt to starve the North of fuel and income for its weapons programmes. What effect have previous sanctions had? What happened next? On 3 September, North Korea said it had tested a hydrogen bomb that could be miniaturised and loaded on a long-range missile.